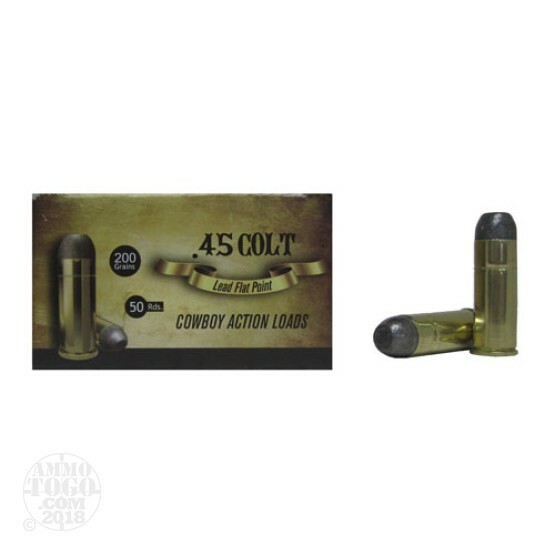 This is .45 Long Colt Aguila 200gr. Lead Flat Point Ammo. This is Aguila Cowboy Action Loads, brass cased and boxer primed. This ammo comes packed in 50rds. per box.